The article describes the research of image analysis methods. The methods of indexing images for the search of duplicate images, as well as methods for finding similar images based on the definition of key points are described. The prototype of the system was created, and testing of the described methods was carried out. The result of the analysis became the basis for the information system project of reverse search of similar or identical images. Shapiro L. Computer vision / L. Shapiro, G. Stockman / Washington University / 2006. – 752 р.
Biloshchytskyy A. O. Efektyvnist metodiv poshuku zbihiv u tekstakh / A. O. Biloshchytskyy, O. V. Dikhtyarenko // Upravlinnya rozvytkom skladnykh system. – 2013. – No. 14.– Р. 144 – 147. Shozda N. S. Poysk yzobrazhenyy po teksturnym pryznakam v bolshykh bazakh dannykh / Naukovi pratsi Donetskoho derzhavnoho tekhnichnoho universytetu. Seriya: “Informatyka, kibernetyka ta obchyslyuvalna tekhnika”. No. 39. – Donetsk, 2002. – P. 182–187. Biloshchytskyy A. O. Optymizatsiya systemy poshuku zbihiv za dopomohoyu vykorystannya alhorytmiv lokalno chutlyvoho kheshuvannya naboriv tekstovykh danykh / A. O. Biloshchytskyy, O. V. Dikhtyarenko // Upravlinnya rozvytkom skladnykh system. – 2014. – No. 19. – P. 113–117. Alcantarilla P. F. Fast Explicit Diffusion for Accelerated Features in Nonlinear Scale Spaces / P. F. Alcantarilla, J. Nuevo, A. Bartoli // British Machine Vision Conference (BMVC), – 2013. Grewenig S. Cyclic Schemes for PDEBased Image Analysis / S. Grewenig, J. Weickert, C. Schroers, A. Bruhn // International Journal of Computer Vision, 2013. ORB: an efficient alternative to SIFT or SURF, Computer Vision / [E. Rublee, V. Rabaud, K. Konolige, G. Bradski]; (ICCV), IEEE International Conference. – 2011. – С. 2564–2571. Rosten E. Machine learning for high-speed corner detection / E. Rosten, T. Drummond // 9th European Conference on Computer Vision (ECCV), – 2006. – С. 430–443. Yang X. LDB: An ultra-fast feature for scalable augmented reality / X. Yang, K. T. Cheng // In IEEE and ACM Intl. Sym. on Mixed and Augmented Reality (ISMAR), – 2012. – С. 49–57. BRIEF: Binary Robust Independent Elementary Features / [M. Calonder, V. Lepetit, C. Strecha, P. Fua] //11th European Conference on Computer Vision (ECCV), – 2010. – С. 778 – 792. Leutenegger S. BRISK: Binary Robust Invariant Scalable Keypoints / S. Leutenegger, M. Chli, R. Siegwart. – 2011. – С. 2548 – 2555. Lytvyn V. V. Proektuvannya informatsiynykh system: navch. posib. / V. V. Lytvyn, N. B. Shakhovska. – Lviv: Novyy svit – 2000, 2015. – 380 p.
Ékkel B. Fylosofyya Java: Byblyoteka prohrammysta. – SPb. : Pyter, 2001. – 980 p.
Mashnyn T. JavaFX 2.0. Razrabotka RIA prylozhenyy. 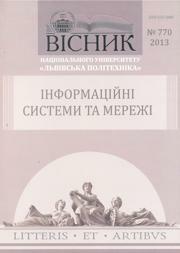 – BKHVPeterburh, 2012. – 320 p.
Dévys M. Yzuchaem PHP y MySQL / M. Dévys, Dzh. Fyllyps. – M.: Symvol-Plyus, 2008. – 442 p.
Bernard V. KH. JDBC: Java y bazy dannykh. M.: Yzd. “Lory”, 1999. – 324 p.
Gamma E. Methods of object-oriented design. Design Patterns. St. Petersburg: Publishing House “Peter”, 2007. – 366 p.
Shyldt H. Yskusstvo prohrammyrovanyya na JAVA / H. Shyldt, D. Kholms. – M.: Yzd. dom “Vylyams”, 2005. – 336 p.